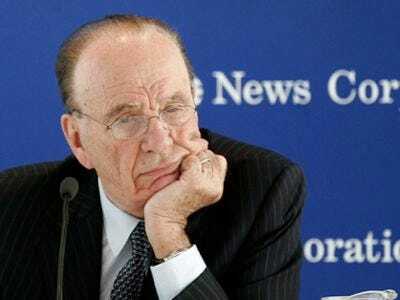 , the News Corp. boss, reportedly doesn’t believe New York Times will sell itself any time soon, “least of all to a Mexican” like Carlos Slim. But Murdoch doesn’t mean that racially, see. “I don’t mean that racially – he’s just too sensitive and smart to do it,” Murdoch said, according to Reuters reporter Yinka Adegoke’s Twitter stream, which also carried Murdoch’s initial comment. Wait, who’s too sensitive, Times publisher Arthur Sulzberger Jr., or Carlos Slim, billionaire scheming Mexican? With New York‘s Gabriel Sherman closing out that profile about how Murdoch is losing his grip, the media baron had better rush out a bizarre denial, just like he did after agreeing that Barack Obama is a racist. Or say the Times executives are racist, for refusing to immediately sell to Carlos Slim. That will throw the bleeding hearts for a loop. Send an email to Ryan Tate, the author of this post, at [email protected]. Gawker is the high-brow gossip sheet covering media, entertainment, politics and technology.